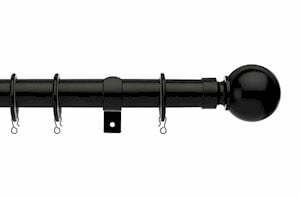 A popular choice among homeowners looking to create a modern, contemporary living space, black curtain poles offer the perfect finishing touch to your interior décor. Browse our selection below and order online today! 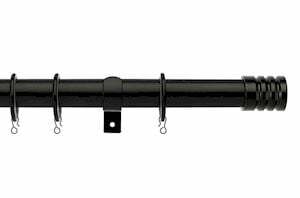 Here at CurtainPoleStore.co.uk, we offer a selection of black curtain poles in metal to suit all style preferences, in both 19mm and 28mm diameters. 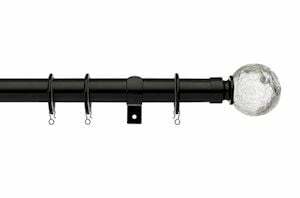 Whether you’re looking for an innovative design that grabs attention or something a little more understated, you shouldn’t struggle to find a black curtain pole to meet your requirements. 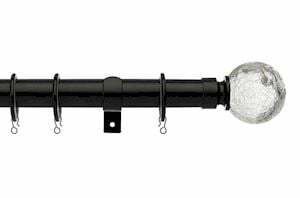 Ideal for living rooms, dining rooms, kitchens and bedrooms, our range includes traditional cage style finials, classic ball finials, modern glass finials and many more. 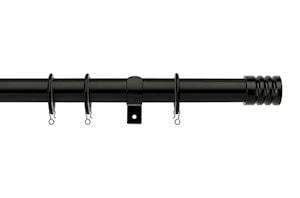 If you’re looking to make a style statement, or simply want to hang your curtains to finish off your room, black curtain poles can be used to suit a variety of needs. Get in touch - we'd love to hear from you! View our special offers and get yourself a great deal. 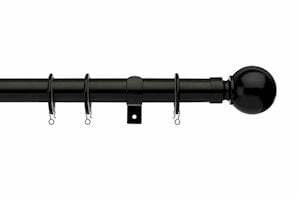 Curtain Pole Store is a family run online business bringing to you a diverse range of high quality, affordable curtain poles. We pride ourselves on offering you the best prices available online for your curtain poles and accessories. Sign up to receive email updates on special offers, new products and more. Absolutely excellent service. 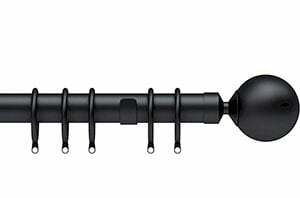 There was a small delivery/stock-out issue but it was resolved quickly by the team Delighted with our poles and finials! They arrived quickly despite the hitch. I would buy again without hesitation. 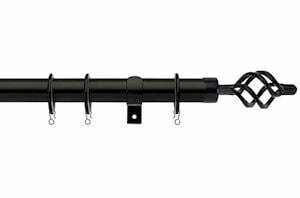 Easy to use website with a large range of well priced poles. 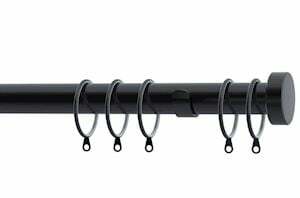 Ordered an eyelet pole which arrived on time, a well priced pole of good quality. 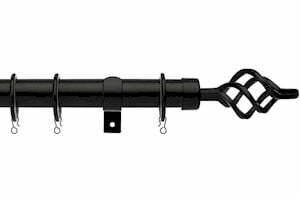 Click to read more Curtain Pole Store reviews at Reviews.co.uk.